Oral mucositis is an acute inflammatory and ulcerative complication of the mucosal membrane that commonly ocures during cancer therapy. Mucosamin is an oral solution which heal’s, prevents and manages this condition. There are 2 ways you can use Mucosamin either as a mouthwash or an oral spray. 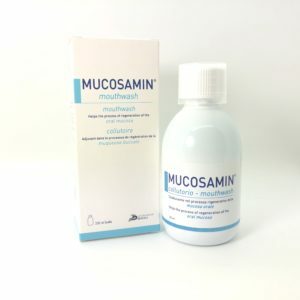 Mucosamin® Mouthwash is a topical oral solution used to help in the treatment and prevention of oral mucositis induced by cancer treatment. 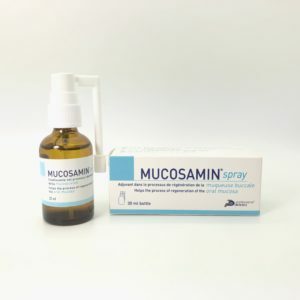 Mucosamin® Spray is a fluid gel used to help in the treatment of oral mucositis induced by cancer treatment. The spray formulation allows difficult areas of the mouth to be reached. To find out more click on one of the options below.